Last week at this time, there was disappointment, disbelief, and an identity crisis luring in New England. The Patriots were coming off a 41-14 romp courtesy of the Kansas City Chiefs. This all but demoralized the one time dominant franchise out the AFC East. And the questions instantly came rolling in: Is this the end of the Brady-Belichick era? 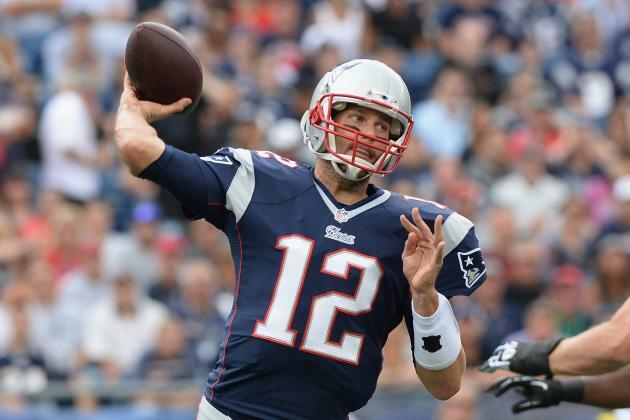 Should Brady be replaced at QB? Who are these Patriots? Fast forward one week later, and it appears that the Patriots have got their mojo back. They easily bounced back from a discouraging loss last week, and beat down an impressive (and undefeated) Bengals team in emphatic fashion, 43-17, on Sunday. With all the negativity and scrutiny surrounding them this past week, the Patriots went out there and did what they do best, execute on offense and force turnovers on defense. They immediately reminded us why they still are a force to be reckoned with in the AFC. While there is no denying that Brady is getting older (37) and his offensive production has steadily declined over the last three years, he still has those invaluable intangibles that can lead this team to victory week after week. He is a ferocious leader, well respected in the locker room, and has impeccable command over the offense. Belichick, on the otherhand, may possibly be the most brilliant mind the NFL has seen since 2000. Though he may not ever win any personality contest (like…ever), his football IQ may only be surpassed by the great John Madden. A good coach may be defined by the win and loss column, but a great coach is defined by getting the most out their players by utilizing everyone’s strength. And this is exactly what Belichick does. If you look at the Patriots rosters the last couple of seasons, you won’t see a roster full of superstars and all-pro players. However Belichick has turned them into major contributors by using their strengths. The Patriots have proven to be the most consistent team in the NFL since 2001, either finishing first or second in the AFC East during that span; while both 2nd place finishes were caused by tie breakers. Despite injuries to key players, loss of key players, or aging key players, the Patriots find a way to get it done. I wouldn’t be surprised if the Patriots sit atop the AFC East upon the conclusion of the 2014 regular season. The one thing I’ve learned year after year come playoff time: you can never count the Patriots out.